When it comes to purchase a CPO vehicle, Waterbury shoppers will find not all certified pre-owned programs are created equal. The Honda Certified Used Vehicle Program includes many benefits that a private seller or other programs just can’t match, like a comprehensive process for delivering a level of accuracy, transparency, and peace of mind unmatched in the industry. Shop with confidence knowing the vehicles that have made it through the Honda Certified Used Vehicle Program have met some of the most rigorous standards in the industry. It covers major engine and transmission components, except for standard maintenance items, body glass, and interior. With the Honda Certified Used Vehicle Program, Honda will repair or replace any covered part that is defective in material or workmanship under normal use. There is a $0 deductible and the following major systems/components are covered. Covered for seven years or 100,000 miles (whichever comes first) from the vehicle’s original in-service date with the Honda Certified Used Vehicle Program. Powertrain items covered: Engine, Drive System, Transmission. Covered for 12 months or 12,000 miles (whichever comes first) from the original warranty expiration date or, if the original warranty has expired from the Honda Certified Pre-Owned Cars purchase date. 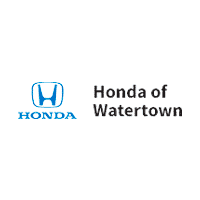 Non-Powertrain items covered: Steering, Suspension, Electrical, Air Conditioning, Heating and Cooling, Fuel System, Switches, Audio Repairs (Honda audio systems only) and Sensors. If you’re considering a Honda Certified Pre-Owned Vehicle, Honda Care© Certified Additional Coverage is a smart option. Even though Honda is known for its long-term reliability, it’s good to know that you have the extra measure of protection for your investment. An exhaustive 182-point mechanical and appearance inspection, performed by the dealer, to ensure that each vehicle meets Honda Certified Pre-Owned Cars standards. Honda-trained technicians scrutinize all major vehicle systems, including brakes, engine, drivetrain, steering, suspension, tires, wheels, exhaust system, and vehicle interior and exterior. Dealer technicians recondition any component that does not meet our standard. Any component that cannot be reconditioned is replaced with Genuine Honda parts. A limited warranty that covers engine and transmission components for up to 7 years/100,000 miles. *Required XM® Radio monthly subscription sold separately after 90 day trial period. Installation costs and other fees and taxes may apply after initial trial period, including a one-time activation fee. Subscription fee is consumer only. All fees and programming subject to change. Subscriptions subject to Customer Agreement available at xmradio.com. XM service only available in the 48 contiguous United States. The XM name is a registered trademark of XM Satellite Radio Inc.*Body corrosion and some emissions components and seat belts are covered longer. See your vehicle’s original warranty information booklets for specific items. **If the new-car limited warranty has already expired upon delivery, the 12-month/12,000-mile coverage starts on the day you buy or lease the car.